It was just an example of another rich country that had a housing bubble, that's all. If you are so confident that prices will always go up, go ahead and provide some explanation instead of calling people delusional in your original comment. Perhaps you could you start with "they ain't building anymore land"? This is a much more interesting graph. We have been in a period of unprecedented cheap cash &amp; QE. Combine this with the strong British view that "prices never go down" and you get the situation we are currently in. If the overall public sentiment changes we could be in for a very bad time. Of course, no-one really knows but a pessimistic view is justifiable. Housing prices can and do go down (and stay down). See Ireland &amp; Japan. Makes sense that as a big corporate wheel they would be good at flipping nice easy jobs for cash, not so good when something a bit out of the ordinary comes up. In terms of your final question I would suggest you remember on which side your bread is buttered ;) You'll never hear the end of it if you fix for 2 and interest rates go up 0.75% in that time. That is just about the only "given" in this situation, might as well let that lead you since any speculation on rates is exactly that- speculation. One of the best trolling comments on here recently. Good work. The standard of trolling has been woeful on HUKD. Fielding the tried and tested London vs. Rest Of The World line was perfect strategy. It's an oldun but a goodun. I avoided Barclays like the plague for this very reason. Life's far too short to be wasted with those jokers. Nearly had our purchase fall through due to their farcical back office. Eventually were forced to ditch them and go with HSBC who managed to get the mortgage sorted in the time it takes Barclays to pick up the phone! Lloyds were a nightmare when we went for a deal. Total car crash. Lies, misinformation about fees and legal costs to move over. Computer system failure and then to be told lowest rates weren't available to us after 2 hours. Went to Nationwide got offered all there best deals and superb service. It is pretty close but the Lloyds edges it on a 200K mortgage over 22 yrs. So it is the best 2 yr fix posted so far in this recent spate for a mortgage of £200K over 22 yrs. 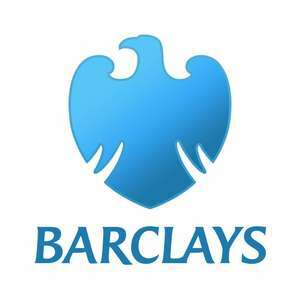 Calcs follow: Barclays 1.63% with £299 fee (which you pay up front) over 23 yrs: Total cost = (£869.53 * 24) + £299 = £21,167.72 and a closing balance of £186,036 total cost + liability = £207,203.72 Barclays 1.63% with £299 fee (which add on to the loan) over 23 yrs: Total cost = (£870.83 * 24) = £20,899.92 and a closing balance of £186,314 = £207,213.92 Lloyds 1.43% with £999 fee (which you pay up front) over 23 yrs: Total cost = (£850.83 * 24) + £999 = £21418.92 and a closing balance of £185,731 = £207,149.92 Lloyds 1.43% with £999 fee (which add on to the loan) over 23 yrs: Total cost = (£855.08 * 24) = £20,521.92 and a closing balance of £186,649 = 207,170.92 For argument's sake the HSBC 1.84% with £999 over 5 yrs, paid up front, position at 2 yrs. Total cost = (£889.43 * 24) + £999*3/5 = £21746.32 with closing balance of £186.361 + £600 fee still to account for = £208,707.32 So you fix for 5 and it'll cost you £1,500 minus whatever fee you pay on the next shorter fix. Realistically it's going to take retail interest rates to be as bad as &gt; 2.1% odd on a 2 yr fix to make that cost you that amount in the last 3 yrs of the next 5. So you're betting on interest rates not going up 0.75% in the next 2 yrs when you take a 2 yr fix. Is that logic right? I'm seriously rethinking, and considering again fixing for just 2 yrs. Anyway, heat given, this is a good deal. HSBC mortgage 60% LTV, 1.84% fixed for 5 yrs. £999 fee, free assisted legal fees. Everyone has different circumstances, and it's clear a 2yr deal is good for you. Personally if you don't have such plans I think this is a good deal more safety than a 2yr deal (in terms of fixed repayments), for not much more money. As such I've just gone for this, over the 2 yr deals, and over the fee free version of this (which would have been more expensive for me). Weirdly those deals are all &gt; 1500°. Guess the headline fee, and interest rate a bit higher than you can get on 2 yrs, have sunk the deal. Still think this is the best 5yr deal you can currently get for a mortgage of £200k. Perfect. If I can just find somewhere to buy for £70 a month. well done for finally accepting that. was introduced 2013 so yes it did but naturally what goes up must come down. Might be good. But hasnt done what they wanted it to do has it? Thanks OP, had mortgage app today - 5 year fix at 2.41% ltv - 90% By far the cheapest. Thanks again mate. You top, top, top person! I was just about to pull the trigger on a First Direct 60% LTV 5 year at 1.99%. Am currently on the phone speaking with the Barclays boys and girls sorting this out instead hopefully! This is what HUKD is all about. Very, very appreciated ! This needs explaining in the title that essentially a parent or similar has to act as a guarantor, and has to front 10 percent of purchase price. So it is entirely misleading. This deal is not available! Please expire! This is also on for remortgaging as well. MSE reckons they are my best option before two smaller banks/building societys I've never heard off. Exactly this. We got ours with Halifax as even though the rate was slightly higher, they paid our stamp duty. Been with them ever since due to them now constantly offering the best rates. Don't see this anywhere, how do you get it???? Are you sure they were whole of market advisors? I met my advisor through a personal recommendation, I've bought 4 houses in the last 10 years using his services. One national estate agent insisted we use their "independent" (I say this cynically) mortgage advisor, who conveniently has an office within the Estate Agency... this advisor could only find 5 mortgage products for us, as opposed to the tens and tens of products my advisor had access too, not surprisingly the decision in principle we already was a far superior financial product and the Estate Agent advisor admitted they had been a complete waste of our time and they "couldn't come close" to the deal we already had. Also, I have had mortgage appointments with my own bank, Lloyds (who also own Halifax) and the competitiveness of their products were abysmal. Lastly, if you find yourself a great whole of market mortgage/ financial advisor, they will speak to lenders and underwriters on your behalf to discuss anything that doesn't quite fit standard tick box online forms. This is my experience, I'm sure others have had different experiences to mine. i took out tracker mortgage a year past August and got £500 as a first time buyer. The Bank of England rates went up so my Mortage was due to go up in December 2019. I just happened to check their website and they had as slightly cheaper tracker mortgage. I went into my local branch and asked if I would be able to swap to the new rate given I'd only made two payments to my new mortgage and they said yes plus I'd get the £100 switching bonus you refer to. So that was me £600 up just before Christmas. The rates changed again and my so did Nationwide, as they had a slightly cheaper rate again so clicked a few buttons and changed again. Yip £100 cash back again. I only had my mortgage a year and I ended up with an interest free mortgage when you take the cash back into account plus money in my pocket. Ok it wasn't a large mortgage compared to many but still scary to me. So I don't think there is any limits as to how often you can switch on a tracker as I certainly had no problems and the staff at my local encouraged me. No sign of additional credit checks either. Hope this helps. Nationwide by default pay £100 for each account switched. There was a thread a while back and one chap had 5 accounts. If your fixed is due to end they pay £100 to swap to penalty free tracker and again of you then swap into a fixed later down line. Sean, you've missed my point my friend. You would have got cashback from broker and Nationwide. Like I did, this is what I was implying. Thanks for posting and spreading the savings! All the best. I wonder how often you can get this. If your in a tracker you could technically switch a few times a year if the rates hold. Perhaps it’s capped at once a year. Could prove an interesting loophole. Never miss a 'Mortgage' deal again! Karl's mortgage calculator free on Android and iOS. What if the mortgage lender doesn't actually have that money to lend out, and mortgages are just based on your ability to pay? Free but full of adds like most apps these days. Why is this a deal am I missing something? I don't usually say this, but this is one app where the ads are worth it. He's done a cracking job on this. Also the ads aren't intrusive in my opinion, so ok.
To load all the adds that it pushes? Paying fees in my case, for £35k and less than 5years term is aboolutely pointless, as reduced interest wouldn't pay off the fee amount. So no fee deal for me only. 1 year fix?? Sorry, but can't see any sense doing so. Could you explain? Fixed rates are generally higher than tracker rates. So why would I want to fix it now, hoping for lump sum paying off mortgage if I could do this on existing condition? I just want as said earlier, similar condition to what I have now, but with less interest rate. Halifax have 300+ different products. 1.42% 2 year fixed up to 75% ltv and 1.85% for a 5 year up to 60% ltv are the lowest rates they have currently but may not be the cheapest as that depends on other variables like loan amount etc. Totally pointless posting rates for any lender when there are 1000's of variables and products to be considered. Depends on income. Someone on sub 50k is unlikely to find a lender who will do 5 times income. If your a professional ie accountant/doctor then 5.5 is possible maybe even higher. Income multiples are only a part of the calculation as debt and household expenses also need to be considered. 5x income? Isn't that pretty poor financial advice/management? These are the same folk with a 5k miles per annum leased BMW on the drive. The rate has gone up to 1.44% now. Thats a shame. Expired what I believe to be the cheapest mortgage deal ever to be put on HUKD for homes under £1million. You can move your mortgage if you sell house ti by another one, obviously if you plan on downsizing you could end up with an exit fee. I've just fixed for 10 years @ 2.54% but only 5yrs into a 20yr mortgage so wont be looking to downsize in next 10. I may pop along to learn. If you are chancellor, because you can. I wouldn't have thought so. Best take your own. Will there be free tea and biccies? My 1.94% 5 year started today... no fees and no hassle. Did you find the 1.94? How much you put down a deposit? Did you find out any more about hidden costs with this deal? I've been looking at the same deal (the initial interest rate is now 1.49%), and it looks competitive, but I obviously don't want to get walloped by additional costs that weren't made clear at the outset. It’s the hidden costs that disappoint with this offer. On face-value this is a competitive mortgage, but after completing an ‘application in principal’ my wife and I soon found that there are a lot of additional costs involved, that are not clearly stated. I’ll update this if I am wrong, but if the additional fees are what they appeared to be last night, our application will be shelved. They are a strict lender like hsbc and being an existing customer means nothing to them in terms of lending. They will scrutinise your bank statements ins and outs with a fine tooth comb and like clean credit history. Only 0.05% extra for 75% LTV. Anyone have any experience of applying with first direct as an existing banking customer? i have the opposite 60% equity in my property. My first/current mortgage is with YBS and they were genuinely a pleasure to deal with. After Nationwide messed me around for months and kept sending me to generic call centre staff, YBS approved within a week with a dedicated rep. Excellent service. They have a nice 5 years fixed term mortgage as well. 1.99% with 995 fee wth LTV less than 65%. I am at Halifax at the moment and looking for a new 5 years fixed term mortgage. The best Halifax can offer me is 3.04% with no fees but it is still more expensive for me than switching to YBS. Everytime !. I read this as Yorkshire pudding society, get excited and then a quick let down. (annoyed) . Thanks OP, Just doing some searching for mortgage deals as we're saving for our first home so this may be of use. That's a pretty good introductory rate, the SVR of 4.99% is a little bit of a pain but alas. But we'll see how it compares against the others. The rate why up the day after I applied. We had been warned by the broker though so we got our application in quickly. The only way is up........fix while you can but watch out for those fees if you have a low amount left to pay. No nerves here. Though going by your delightful response. Your nerves are frayed and dinner is noodles again.